For the tourist who love travelling and experiencing the real essence of the city, the two French women Eleonore and Ophelie have brought a new concept of “ecotourism” in the Pink City. 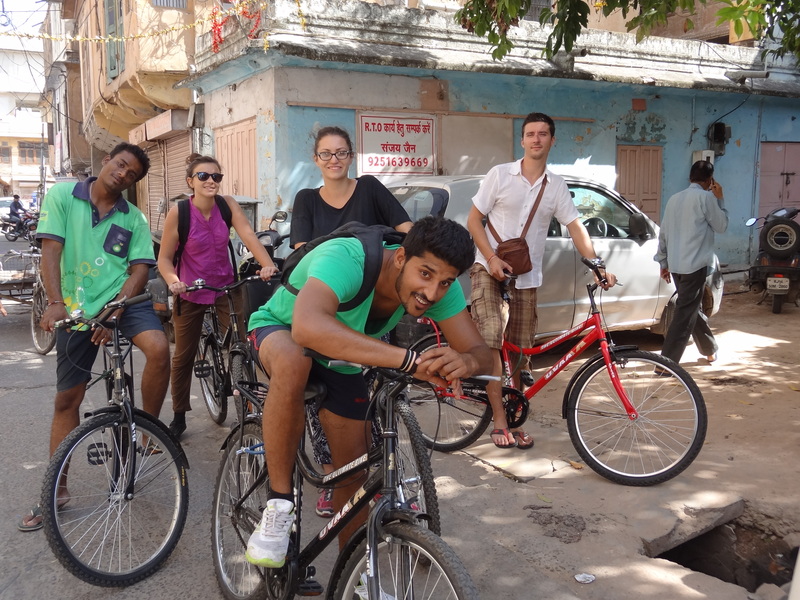 The organisation called Cyclin’Jaipur is a very first of its kind to introduce this unique and innovative idea for taking tourists, as well as locals, on a guided bicycle tour all around the walled city. These Two travelling enthusiasts Eleonore from Paris and Ophelie from Bordeaux were on a trip in Rajasthan in winter 2013 when they literally fell in love with our beloved Pink city. Like every tourist they went to the City Palace, Jantar Mantar, Jal Mahal and Hawa Mahal and they were fascinated by the beauty and the rich history of Jaipur. But the idea of settling here and building their own venture came after a walking tour they did in the alleyways with a guide. They found out that the street life of Jaipur was as beautiful and fascinating as its stunning monuments. The history of Jaipur not only lies in palaces and monuments but is also vivid with the myriad of artisans, shops, markets, havelis and temples. They thought eventually that every tourist should get the chance to get off the beaten track and experience the real city. 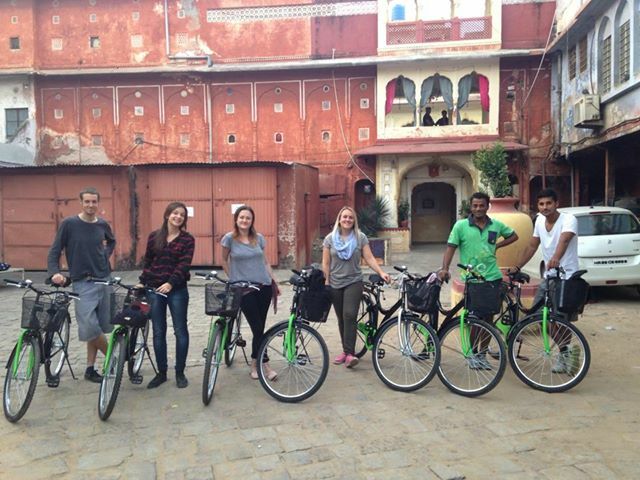 Adventurous, they found some cycles and started exploring the walled city, enjoying the energy of every single street of Jaipur witnessing the amused look of the Jaipurwale.That experience became a passion that they decided to share with others. In the French cities, cycling is a way of life. Quiet, Eco friendly, and convenient, it allows to cover long distances in a short time. Public policies encourage citizens to use bicycle in town to reduce pollution, noise and traffic. The more pleasant a city, the happier and healthier its inhabitants. This is the message that Eleonore and Ophelie want to deliver. They are not the only ones in Jaipur, the Jaipur Cycle Club also encourage awareness about cycling and its benefits for oneself and for a green city. Many other associations and NGO work for a green and cleaner city, and hopefully, someday the “Clean India” extolled by the Prime Minister! They offer “Private tours” on demand, in English, Hindi and French. We suggest you to reblog our blog.